No.3 worldwide. 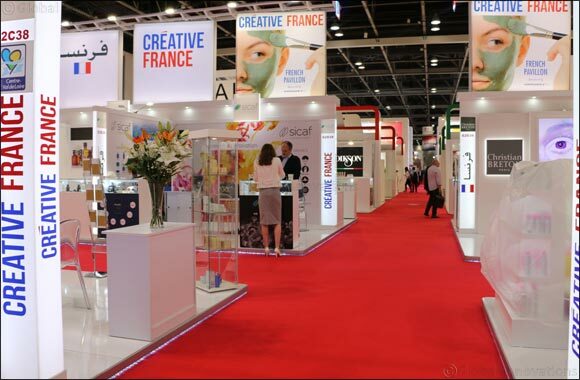 The French pavilion is organized by Business France, the national agency dedicated to the globalization of the French economy, in partnership with Bretagne Commerce International, Cosmed, Dev'up, Cosmetic Valley, Hauts-de-France and Nouvelle Aquitaine, and the sponsorships of Air France and Accor. The French cosmetics industry, which includes in particular - ingredients suppliers, fragrances, finished cosmetic products, machines and packaging, research laboratories, private label, is characterized by the existence of an ecosystem that offers a complete range of products, with major international groups such as L'Or�al, LVMH or Chanel, and smaller structures: 81% of establishments are microenterprises and SMEs. The sector has 79,000 establishments in France employing over 170,000 people, and 2 regional competitiveness clusters.